Cost to build a patio varies greatly by region (and even by zip code). Get free estimates from deck, patio and porch contractors in your city. Cost to build a patio varies greatly by region (and even by zip code). 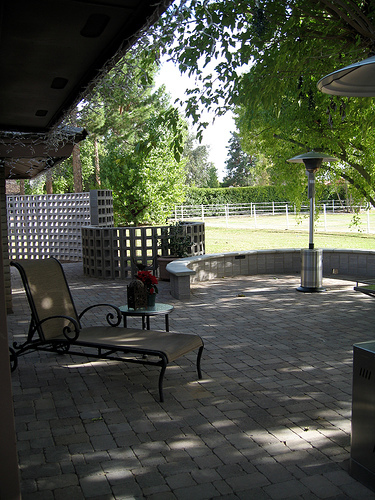 A patio can be made from many different materials including stone, pavers, and concrete. For this discussion we will look at the requirements and costs associated with the installation of a 192 square foot (12'x16') concrete patio. Of many home improvement projects, a patio installation is one considered to usually be a "DIY" project, but the scope of this particular design might require professionals to get the job done. 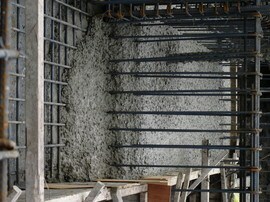 After all, it is difficult to imagine handling the 200+ bags of Pre-Mix concrete that would be required for a patio of this size or the lifting of the hundreds of pounds of gravel that must be used as the base. How much does it cost to build a patio in my city? Cost to build a patio varies greatly by region (and even by zip code). To get free estimates from local contractors, please indicate yours. Cost Considerations: Using fiber mesh instead of a metal reinforcement may be cheaper initially, but can lead to more expensive repairs being needed later on.